At Funabasi. Funabasi has about half million of population. This big department store indicates flourishment of this city. At tukada. Many greenary is left around Noda line. In contrast, there is newry developped towns and there is many white concrete walls and black asphalts but less green. 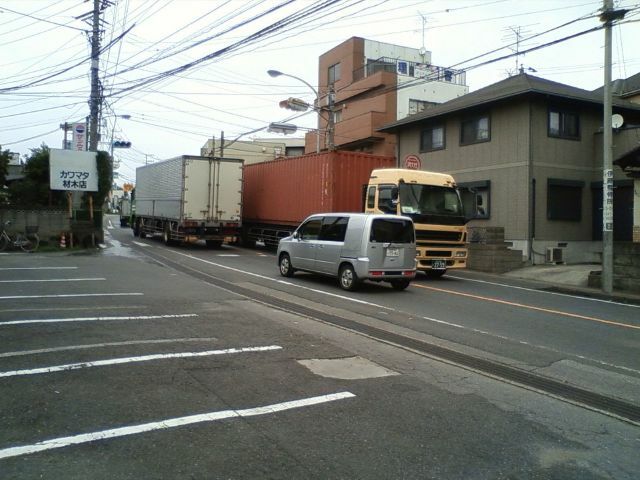 Running over Noda line is Sinkeisei line. 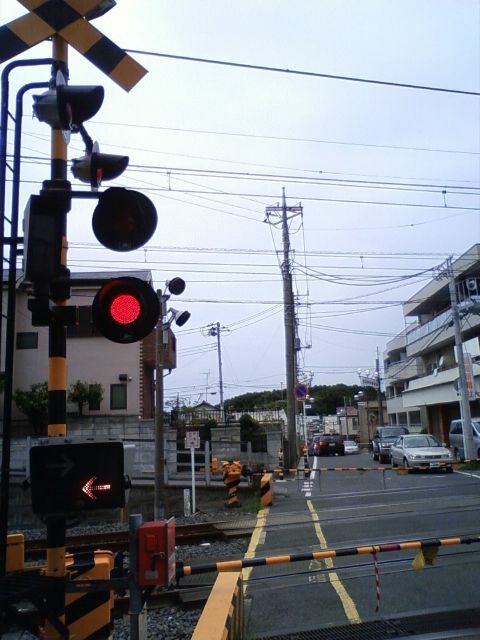 Before Noda line was constructed, there was small villages along highways and railway connected these villes. 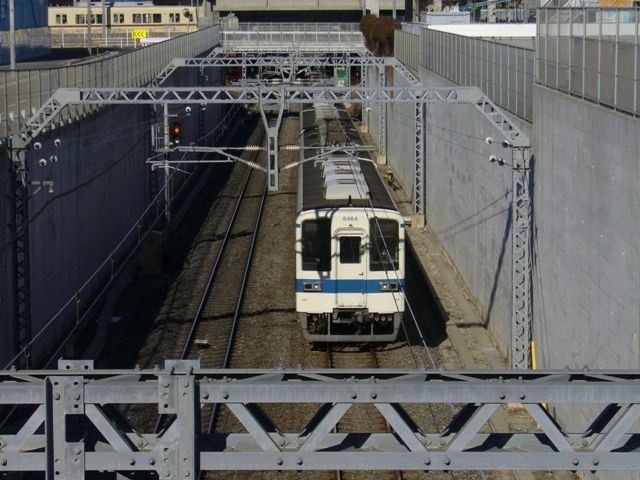 especially along Omiya to Kasukabe, Unga to Kasiwa and Kamagaya to Magomezawa. which confined development in the vicinity of stations and which promoted development of woods and less cultivated lands. Contrast to Tama New town, there was few big construction of "New Town", the large-scale development of a town. 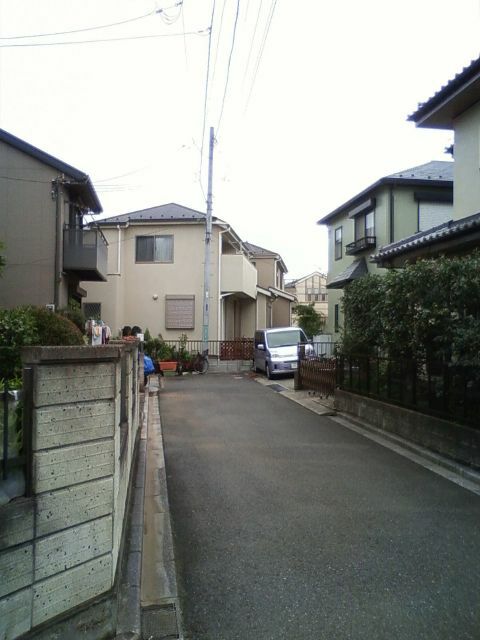 Tha photo above is "Kamagaya green hights" bunch of apartments. 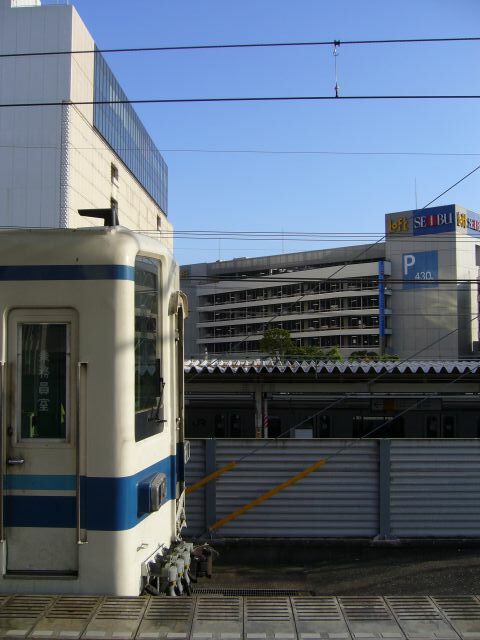 Construction of houses is mainly conducted by local real estate agents or agents belongs to the group of Tobu railway company. 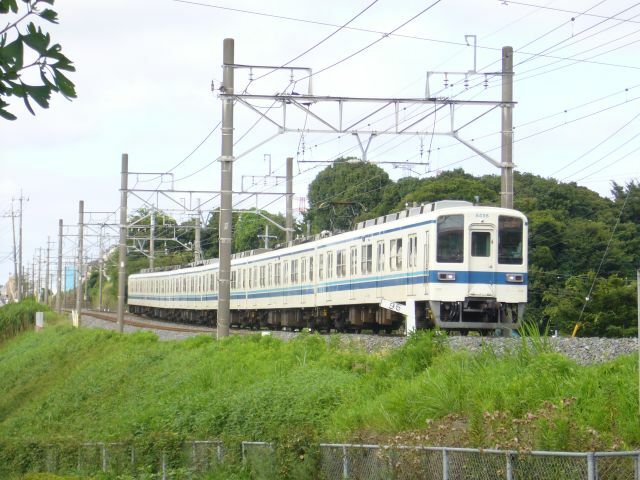 but Tobu railway did not conducted such project along Tobu Noda line. 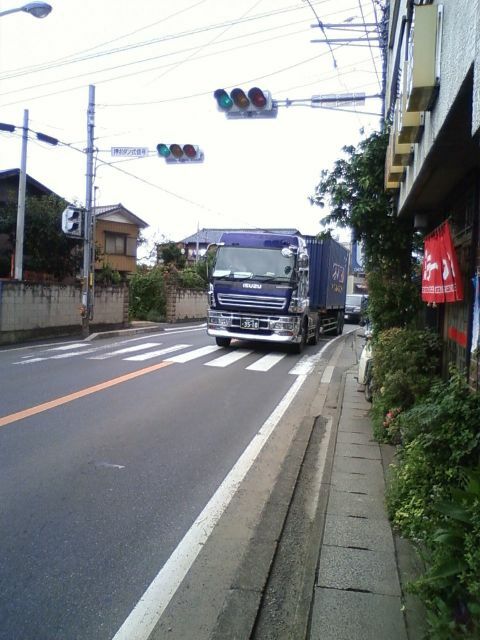 So, development do not became dense. As seen from the map, some roads are connected unnaturally and land is developped assymmetry. Lack of the control of both agents and government consequent to narrow highway. many dead-ends are created. Such blocks is marked by houses of coherent design. Recent development is continued around Kawama, Nanakoudai and Simizukouen. Nearby Shinkamagaya and Nagareyama-Otakanomori development of big shopping center and other buildings are continued according to opening of new railways. 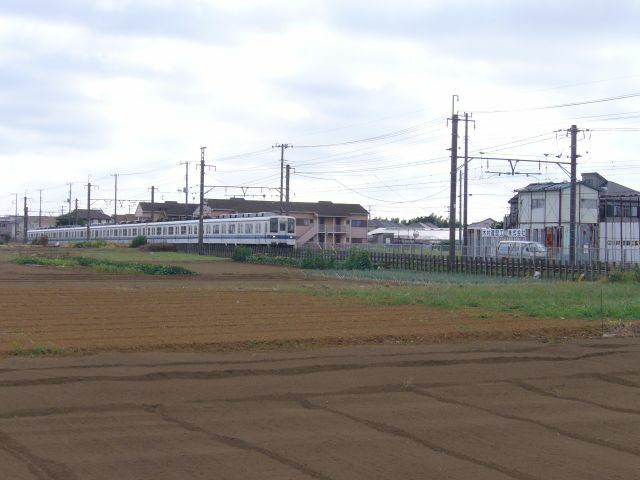 scene from the window of Tobu noda line changes from mansions and buildings to greenary, quiet residenses to broad fields and ricepads. and Tobu Noda line runs along this scenary.